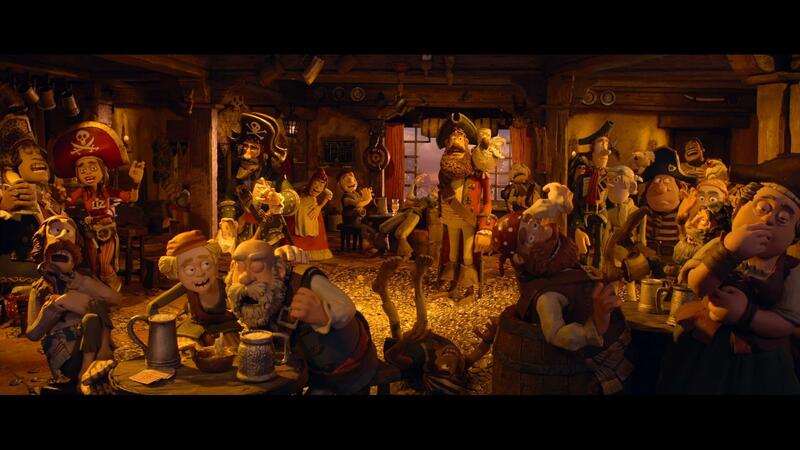 A set of pub furniture, used for the scenes in the “Barnacle’s Face” tavern on Blood Island. 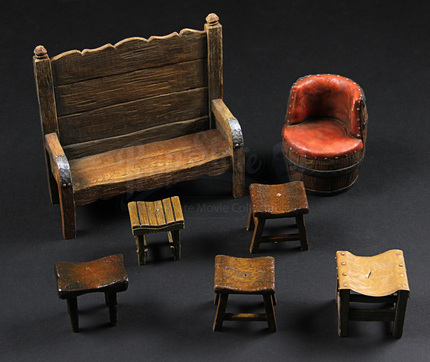 The set consists of a pub settle, a chair made from a beer barrel and five pub stools. 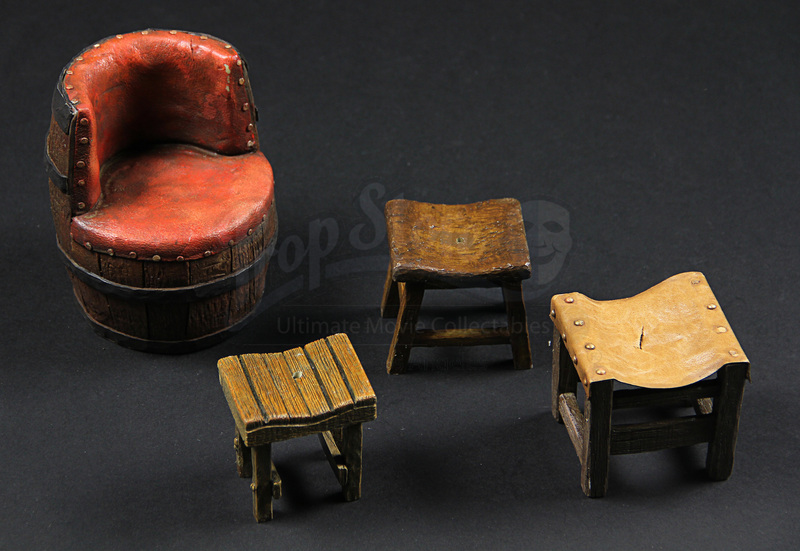 The assorted pub furniture is made of wood with the barrel chair made of cast resin. 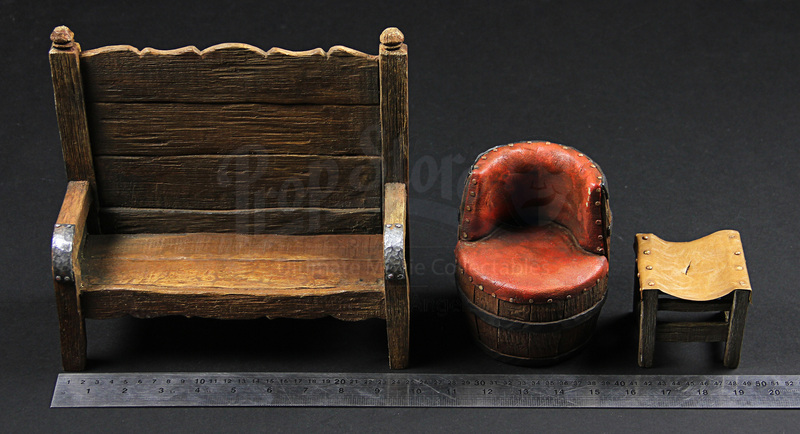 The wooden pieces are finished with wood varnish while the barrel chair is finished in brown and red paints to replicate the look of treated wood and red leather. 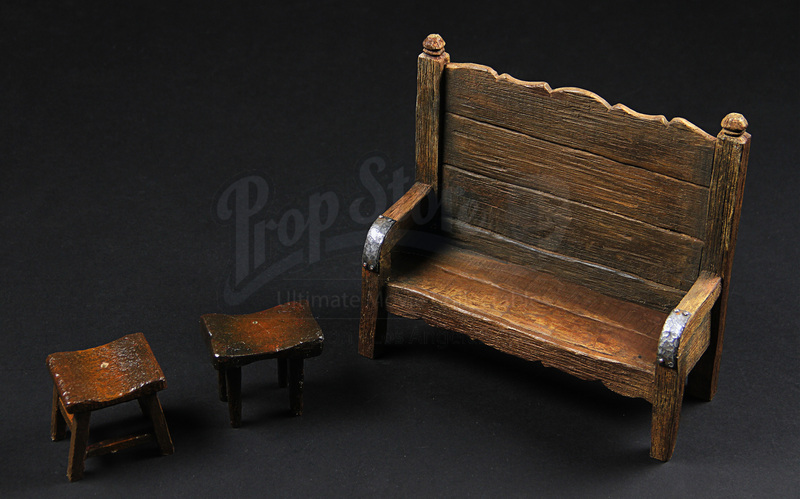 All of the pieces in the set remain in very good condition with minimal additional wear from use and time spent in storage.